Best PHP Training with Live Project in Noida Fee is only 7500/-Click here for FREE DEMO. An HTML Form is the collection of different input elements like text fields, password fields, checkboxe, radio-buttons, submit buttons and many more. HTML Forms TextField is used to take input from users like user’s name , father’s name etc. HTML Forms Password type is used for input fields that should contain Password in encrypted format. HTML Forms radio button type is used for single selection amongst multiple like your gender. HTML Forms checkbox type is used for multiple selection like hobbies. HTML Forms textarea is used to take heavy input like resume or address etc. HTML Forms file type field is used to upload the document like resume, image etc. HTML Forms select field is used to select input from drop down like select your country from drop down. HTML Forms submit button is used to submit your HTML form . 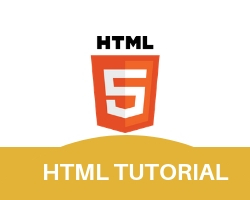 HTML Forms reset button is used to reset your HTML form’s data .